Do you have some common words you keep saying to yourself like, “I should be doing…” or “I kept trying to fit myself into…” Then this Maven Mini is for you! I’ve been talking to my clients all day and there’s been a consistent theme I’ve been hearing over and over. You guys aren’t doing what you’re suppose to be doing! I know, it can be so frustrating, so let’s stop the madness, right here, right now. A client of mine has been crushing it! She’s getting all these great speaking engagements and higher paying clients. I asked her, ‘So, what’s changed?’ And she pretty much told me that it all changed for her when she decided to stop fitting herself into this ‘should be’ mold. It was only stressing herself out in the end. When she finally let go of that and started running her business the way she wanted to, BAM! — things started working. From my personal experience, I totally get it. We’re so pressured by outside forces into having that fantastic and ideal business that we really lose sight of ourselves and it’s just not fair! Don’t get me wrong, I know some of these models work great for others, but they really didn’t work for me. Instead of feeling guilty about that and pushing against the grain, find your own path and create a business that feels right for you. There’s nothing cookie cutter about your business. Your business is an expression of you. Do Not Lose Sight Of That. Okay? Ok! Let go of the I Should Be Doing… mentality! You may only have 10 readers today, but one day, you WILL have thousands! Katie is a self-proclaimed non-expert, but she’s a huge enthusiast on the world around her and is a lifelong learner! What does this mean? She loves to share places, things, ideas, and people that inspire her, on her blog and podcast. This year, Katie also published her first book, Let It Out. Katie talks a little bit about her journey and how she was able to turn her blogging hobby into a business. *Get unapologetic about your message. *Stick with your business and don’t get discouraged. *Please leave a review on iTunes! *Who is Katie? She’s a podcaster and blogger. *Katie started her blog in late 2011. *How did Katie choose the health and wellness topic for her blog? *What advice does Katie have for someone just starting out? *When Katie first started out, she was just doing it for herself. *Katie definitely has to think about what she posts online now that she has more eyes on her. *Be unapologetic about your message! Katie was so excited about what she was putting out into the world that she sent it to everyone she knew. *How did Katie stick with it when she knew no one was reading? 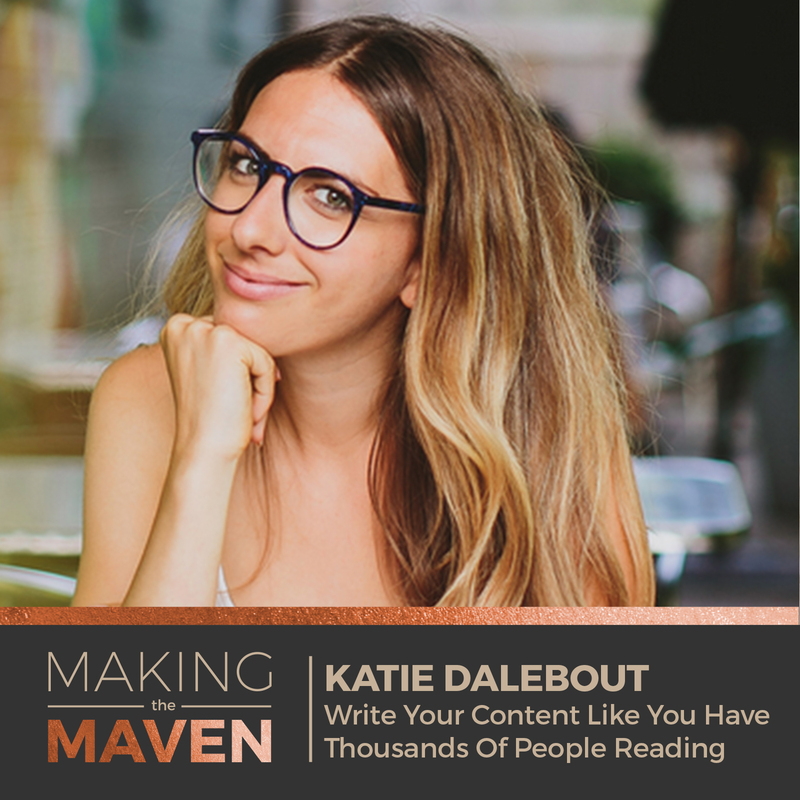 *Write your content like you have thousands of people reading, because eventually there will be thousands of people reading that post. *Katie loves to binge read blogs she recently discovered and loves to look back at their archive. *Stick with it and pretend people are reading. *One of the biggest challenges Katie has faced with her business is not feeling like a real entrepreneur. *Don’t focus on the numbers, focus more on creating good work. *Do work that makes you happy. *The more real Katie is, the more successful she is. *Katie is starting a second podcast! *Be sure to sign up for Katie’s Favorite Things via email! Let’s just quickly touch on going through iterations in your business. Katie and I briefly touched on this on the show, but I know it can be hard! Especially when you don’t see the end in sight, and what you’ve been doing for days, weeks, months, even a year without any results can be discouraging as all heck! So be sure to stay tuned to the very end where I share how to elegantly manage iterations in your business. There’s been some things I’ve been doing lately that I really want to share with you today. It’s really been rocking my world and I’ve gotten so many things done!! Who knew it could be flipped on its head with One Secret to Improve Time Management and Productivity! Alright, so time management. We can all get better with improving the way we spend our time. I bet some of us wish we had more time in the day, right? The reality is that you, me, and everyone else on this planet has the same 24 hours in the day, so how can we make the most out of it? Well, I set a little challenge up for myself to see how much I can get done in fewer hours. Honestly, the results have blown me away. Okay, so what am I doing? Well, to give you some background, I already use my calendar extensively to block out time to work on certain important tasks, which has helped so much. But, I changed two things to this. The first one is I began creating little contests/challenges for myself. So, for example, if I had an hour blocked on my calendar to check email, I’d try to achieve that task in much, much less time. So, the contests were fun, but the real life-changing part was this: After I finish a task in less time, I don’t move on to the next task I have set in my calendar. I claim that time as my own and use it as a mini-reset button. Wow! The difference it makes. I highly encourage you to try this little tip out yourself this week and see how it works for you. Let me know if you see a difference in the way you work after this mini-reset. If you want to make it happen for yourself, you have to do what you gotta do! 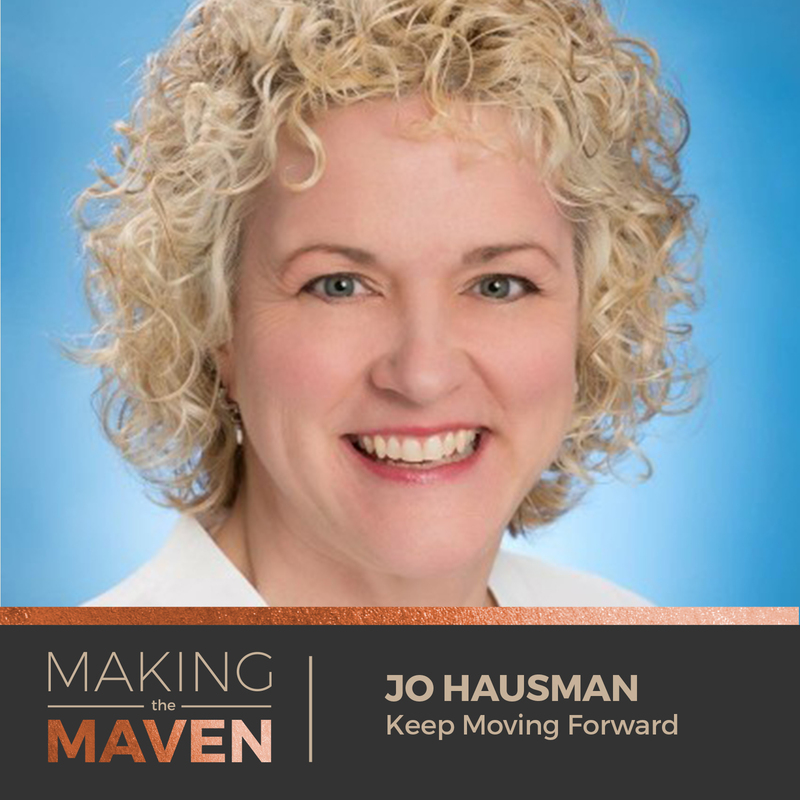 Jo Hausman has an amazing story to share. She started her own online virtual assistant business in 2005 before moving to a brick and mortar business in 2014, only to close that down and start coaching fellow entrepreneurs and business owners in 2015! Jo says, it’s a process to find your true calling in life and at the end of the day, you just have to keep moving forward and go for it! *Hope is not a strategy! *Remember I have a free Facebook community you can join. *Jo started her own virtual assistant business in 2005. *Entrepreneurs are wearing all the hats in their business and then as women, we’re wearing all the hats in our family! It sometimes gets too much. *You need alone time to help yourself reset! *Does Jo miss her brick and mortar business? No. *Sometimes you have to go through the things that don’t work in order to find what does work for you. *Even if you’re not happy with where you are today, just keep moving forward and work towards the next best thing. *Working on your business isn’t rosy all the time. *Jo shares the process of writing her book. *It took Jo a year and a half to finish her book. *Jo wanted to give up on her book, but she’s glad she didn’t because it has lead to many fantastic things for her. *What are some of the things that have contributed to Jo’s success? *It took Jo 9 months working on her virtual assistant business part-time before she was able to quit her full-time job. *Jo decided to open her brick and mortar business in 2014. *Discover what your strength and weakness are and then stick to what you’re good at! *What kind of challenges has Jo faced? *When Jo’s husband passed away, it was very hard for Jo to figure out the ‘what’s next’ after being a caretaker for so long. *You have to keep carrying on and pushing towards what you want. Before we wrap up, I just want to share a little bit about ‘grieving the dream’. When Jo’s husband died and her son moved away to college, she realized it’s all on her now to craft the life that she wanted and went off and did just that! I’ve spoken about grieving the dream before in relation to my business, but towards the end of the show I dive a little bit more into my personal brick and mortar business and how it sort of, if you will, derailed me from my true purpose in life. Hello Mavens! 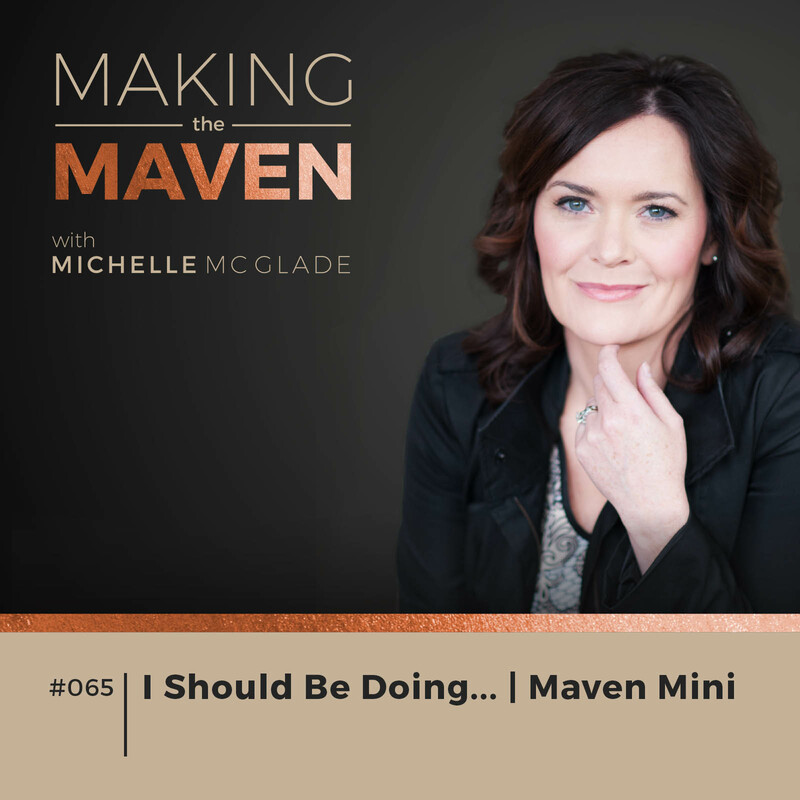 I really want to dive into Goals & Accountability for this week’s Maven Mini. I’ve spoken about this in the past, but it is worth repeating. I am a huge believer in the power of community and what it can offer you, especially in the area of accountability! BUT…Accountability is truly crap if you don’t know what you’re working on, if you’re not clear on what your big boulders are. What are you goals? You can’t get accountable if you don’t know what they are! If you’re currently feeling overwhelmed, don’t know how to tackle that list of items you gotta get done, and if you’re generally running around like your head’s been cut off, then ding ding! You need clear goals my friend! When you have goals, you’ll know exactly where to prioritize your time and on what specific tasks. You won’t feel overwhelmed because everything is pretty much laid out for you, all you have to do is the work. Goals are the answer! 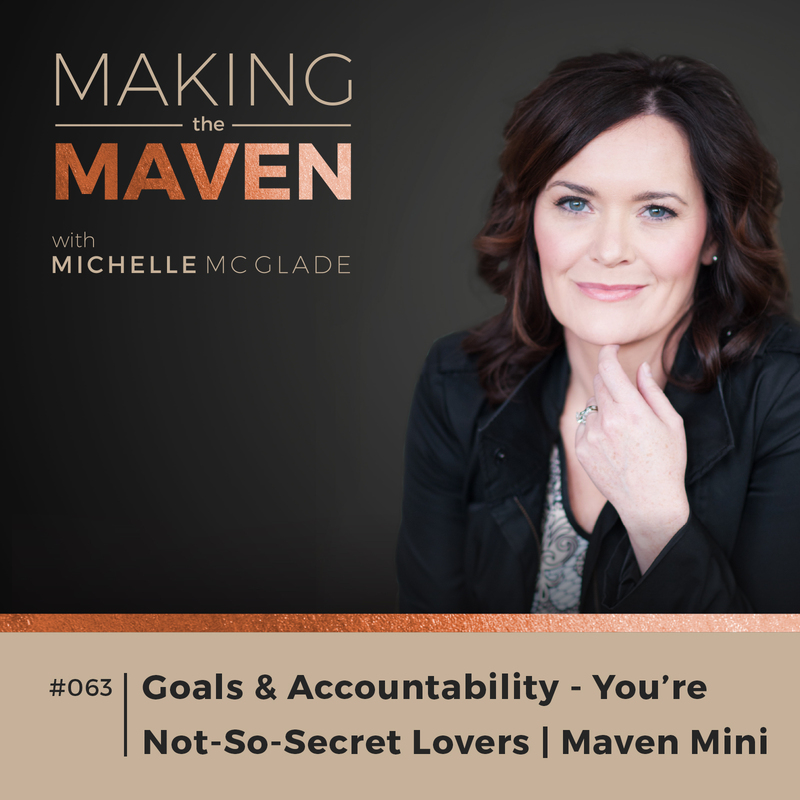 When you have clear goals, then you will have a clear foundation on which you need to get accountable; and that’s the perfect time to get into a mastermind group, free community, or grab your like-minded accountability partner to help you. The first step for you and your business is to understand what you’re working towards. The second step is to use accountability to help you get there.